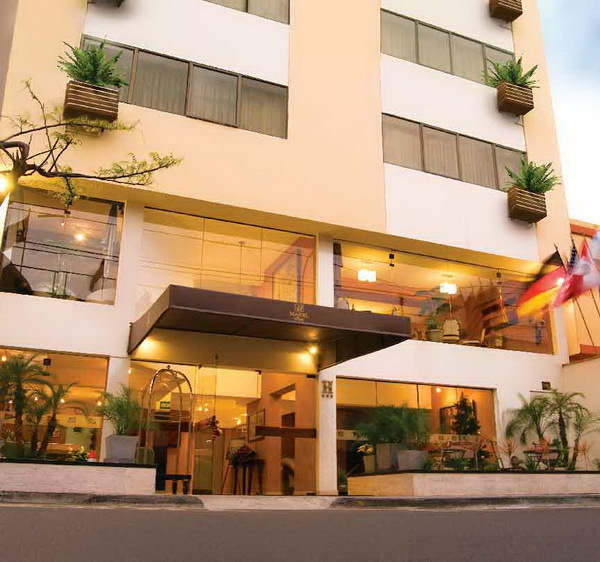 Mariel Hotel Lima is the best choice of 3 star hotel in Miraflores Lima Peru, perfect for a business executive or tourist. 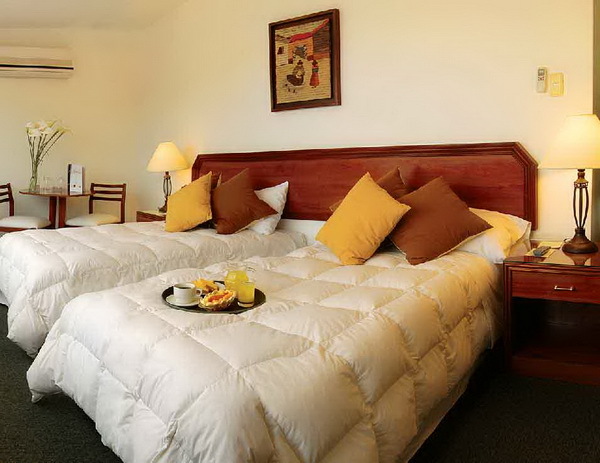 The Hotel Mariel is one of the best hotels in Lima, located in a quiet and comfortable place for relaxation where you can have wireless Internet Wi-Fi high-speed in-room, a Wi-Fi delighted lounge-bar and enjoy of our famous cuisine. This comfortable room features 1 Queen bed 150x190. Includes: air conditioning - heating, blackout drapes, desk, cable TV, telephone, wireless high-speed Internet, refrigerator and private bathroom with shower. This comfortable room has 2 single beds 130x190. Includes: air conditioning - heating, blackout drapes, desk, cable TV, telephone, wireless high-speed Internet, refrigerator and private bathroom with shower. This comfortable room has 2 single beds 130x190. Includes: air conditioning - heating, blackout drapes, desk, cable TV, telephone, wireless high-speed Internet, refrigerator and private bathroom with shower. This room allows for an extra bed. This beautifully decorated room has 2 single beds 130x190. Includes: air conditioning - heating, blackout drapes, desk, cable TV, telephone, wireless high-speed Internet, refrigerator and private bathroom with shower and hair dryer. This beautifully decorated room with 1 King 200x200. Includes: air conditioning - heating, blackout drapes, desk, cable TV, telephone, wireless high-speed Internet, refrigerator and private bathroom with shower and hair dryer. Wi-Fi wireless Internet high speed. 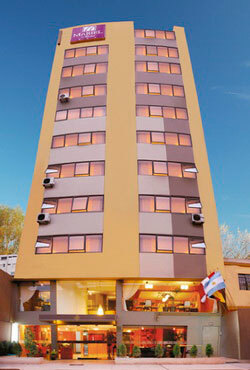 We are strategically located in the heart of Miraflores, a place that blends the traditional with contemporary. 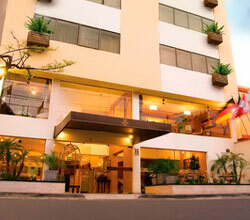 Next to the handicraft markets, financial district, Larcomar, and the best restaurants in Peru. Just 1 minute from Central Park.